13in1 spatula for removing and work with BGAs (Jabe) is a high-quality aluminum handle with interchangeable tips helpful in removing the BGA. 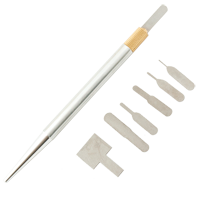 With different size flexible interchangeable tips is perfect for work related to the Chip-Off preventing demage of pads of glued chips. 7in1 spatula for removing and work with BGAs (Wylie) is a high-quality aluminum handle with interchangeable tips helpful in removing the BGA. With different size flexible interchangeable tips is perfect for work related to the Chip-Off preventing demage of pads of glued chips. 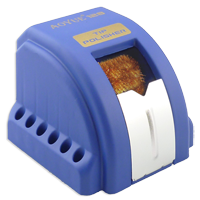 Aoyue 128 Tip Polisher is a high speed brush system removes stubborn oxides and restores the tip’s luster with minimal temperature variation on the tip. 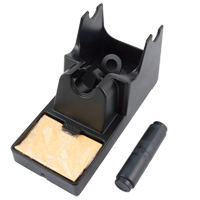 Tips can be placed on the 12 available tip holders for easy access. Cleaning is convenient with the removable aluminum tray and magnetic system automatically snaps the tray back into position. 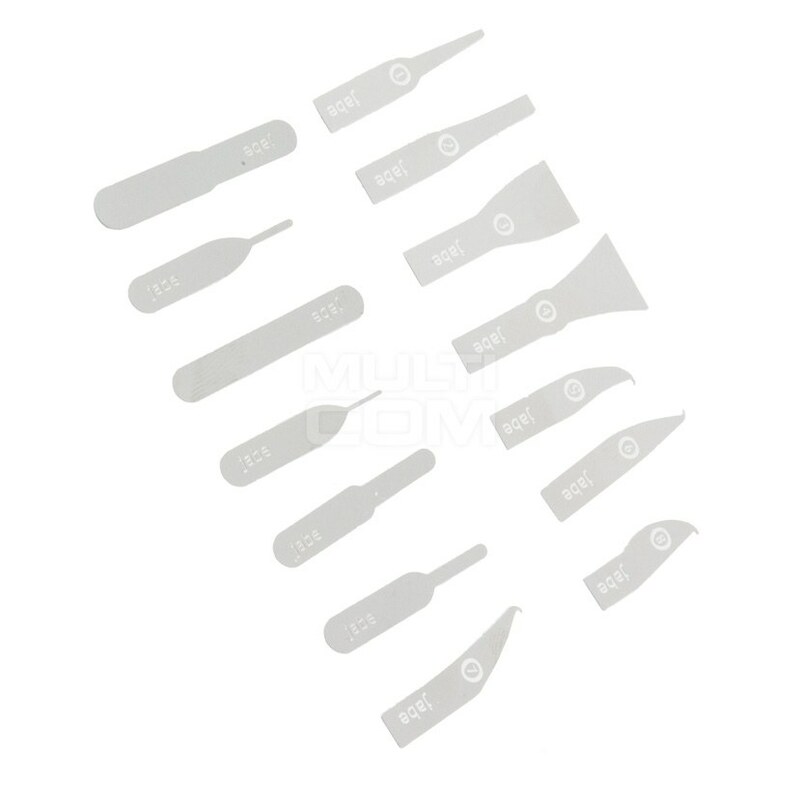 BN14 Replacement Tips for Jabe / Wylie Spatula - 14in1 is a set of replaceable thin stainless steel tips for use in our G3, Wylie and Jabe spatula. Cleaner Aoyue soldering tips Aoyue TY-98 cleans soldering tip without using a wet sponge (does not need water). 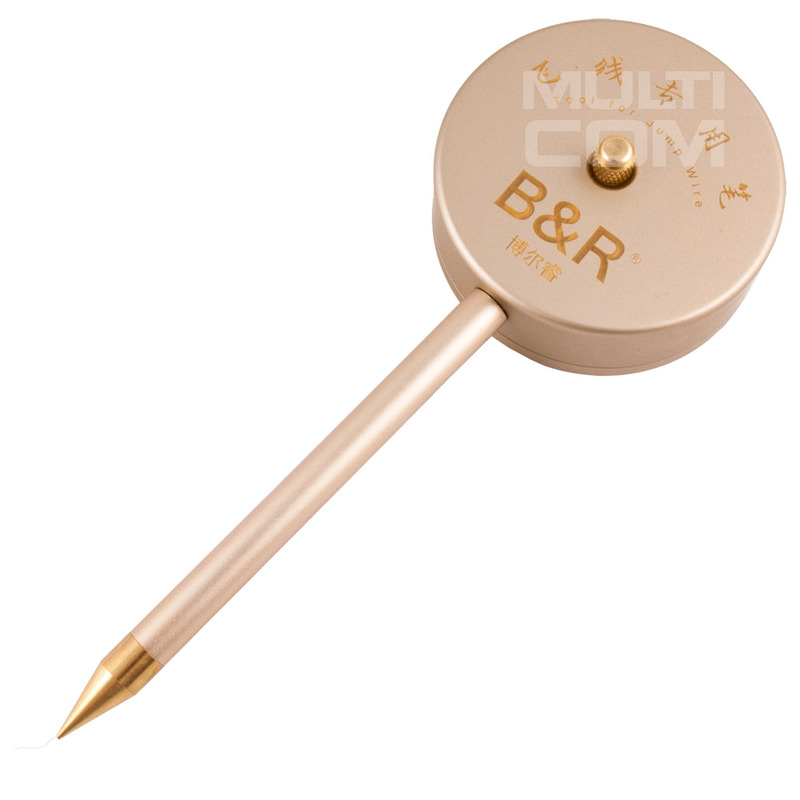 The process is carried out using a brass low abrasion minimizing thermal fluctuations as compared to using a wet sponge reduces oxidation of the tip surface. It has a stainless steel casing, resistant to high temperatures. Cleaner replacement for soldering tips cleans soldering tip without using a wet sponge (does not need water). 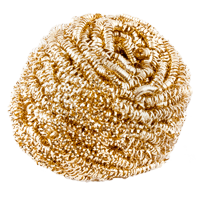 The process is carried out using a brass low abrasion minimizing thermal fluctuations as compared to using a wet sponge reduces oxidation of the tip surface. 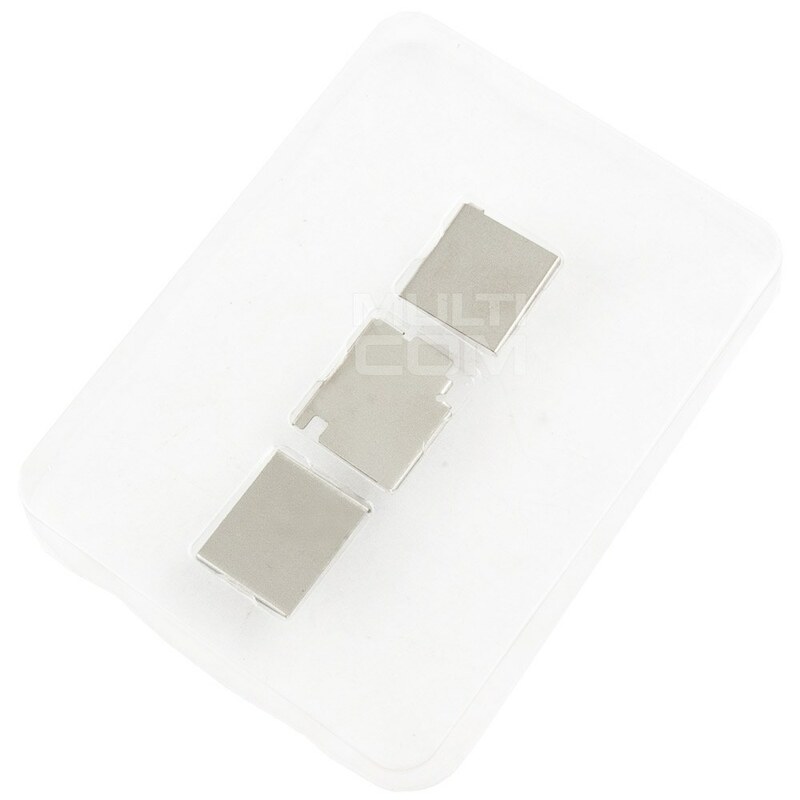 Dual Bracket 8in1 for Removing and Working with BGA (G3 Force) is a high quality two-sided aluminum bracket with replaceable tips for removing BGAs. Thanks to the various sizes of flexible interchangeable tips, it is perfect for chip-off work to prevent pads from sticking. 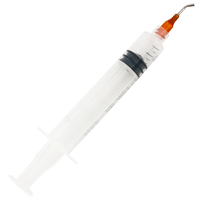 FVB Dispensing Gun (VMATIC) for fluxes, pastes, glue - 10ml syringes is a professional dispensing gun that allows precise dosing of all standard fluxes, fluxes, solder paste, adhesives in 10ml syringes. 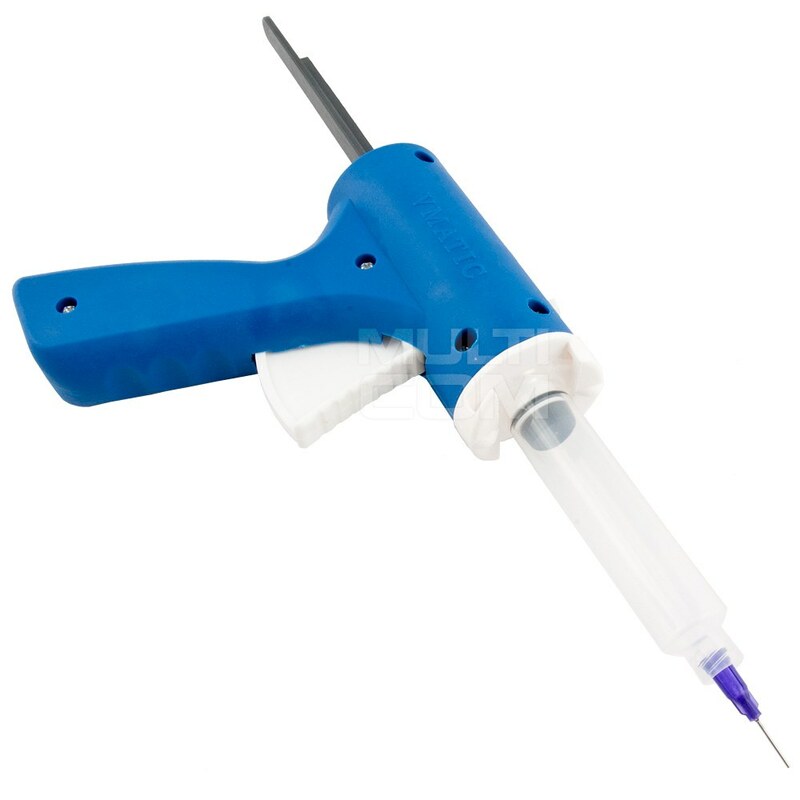 The gun on standard equipment has a set of 3 syringes and several dosing tips to precisely dispense the contents. FVB version equipped with push button release button to prevent liquid from flowing after dosing process. 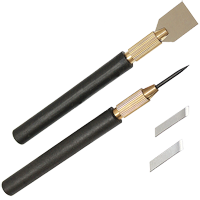 Jump Wire Tool + 150m conductor wire 0.01mm is a tool that significantly accelerates the repair process in micro-electronics allowing for fast connection of damaged paths in electronic devices, so-called reconstructions. Complete comes with non-insulated wire with a thickness of 0.01mm. It is possible to purchase enamel wire for the set. 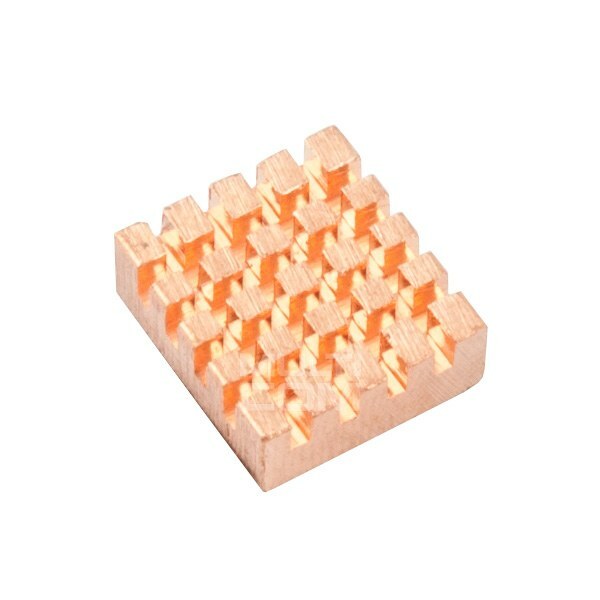 Radiator Copper with Thermal Conductors for EMMC PC-RHS3 is copper heatsinks which ensure proper heat dissipation during BGA soldering, protecting components such as PM, processor from overheating during dismantling eg eMMC. They are matched to the integrated circuits on the board and give the most heat. They have a self-adhesive layer of thermo-conductive tape. Dimensions of the base of a single cube are: 13 x 12 mm, height is 5 mm. Set of 3 protective metal shield screens for the iPhone 6/6 Plus / 6S 6S Plus is a specially designed metal screen for iPhone to protect the processor and other electronic circuits when using hot air for repairs. 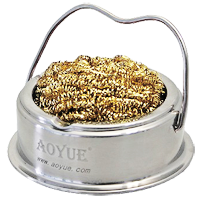 Spatula for distribute fluxes and pastes Aoyue 393 is often used to apply and spread pastes and fluxes for example. of tin in the paste. 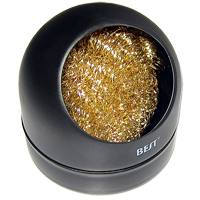 Particularly useful for covering flux BGA balls on a new or cited BGA system. Tip cleaner (Best) with metal base is a lot more durable than the popular foam and does not require wetting. 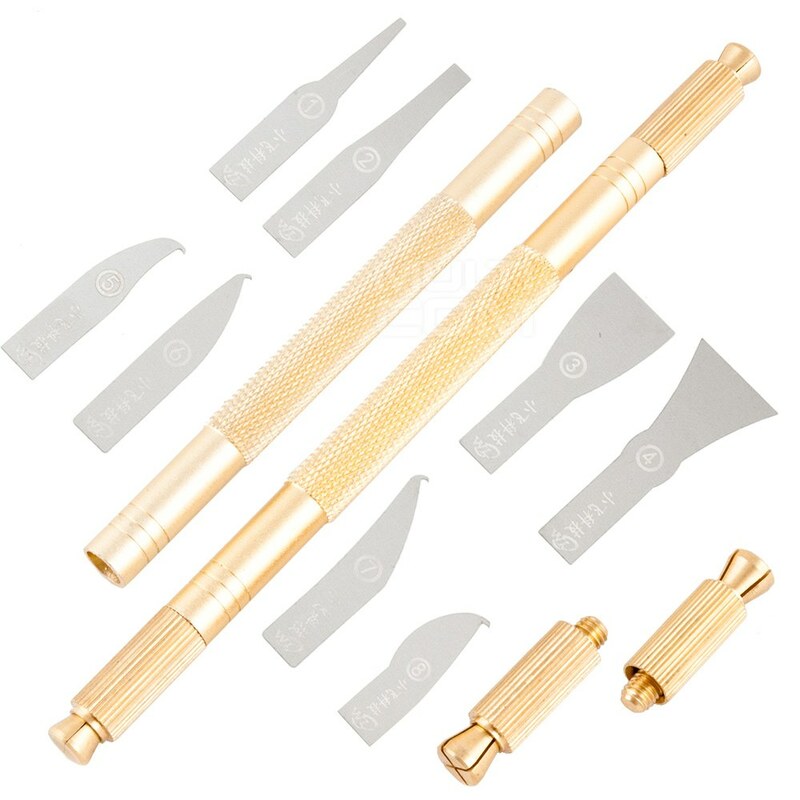 Additionally, it is more effective in cleaning the soldering tip from the remnants of tin, rosin, and other substances. The whole contained in a metal housing resistant to high temperatures.